SA Airworks India is established as a joint venture company between one of the leading avionics companies in Europe, Scandinavian Avionics and India’s leading provider of Aviation Services, Air Works. Air Works is the largest independent General Aviation and the only third party Airline MRO company in India. With an extensive and skilled work force of over 450 employees across 10 airports in the country, Air Works manages India’s largest aviation technical staff and provides comprehensive services for fixed and rotary wing aircraft.SA Air Works India is a member of the Scandinavian Avionics Group - a highly experienced avionics organization distinguished for its high quality products, services, worldwide support and is a responsive, open-minded and excels professional attitude in all aspects of the business. 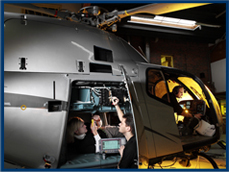 From the corporate headquarters in Billund, Denmark and divisions in Sweden, Norway, Czech Republic, Greece, Malaysia, Bahrain and India, The SA Group provides avionics installation, certification, maintenance, support and training with the main business platforms being larger helicopters, business jets, regional airlines and defense electronics. 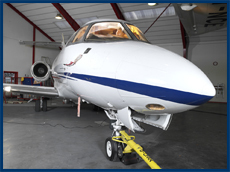 In addition, Scandinavian Avionics is an appointed distributor and service centre for most of the civil avionics manufacturers and has commercial agreements with many key military producers, several on an exclusive basis. All products and services are based on relevant approvals such as EASA Part-145 Maintenance, Part-147 Training, Part-145 POA, FAA and specific local civil and military agreements. Furthermore, SA holds the Part-21 DOA and has obtained more than 300 certifications via this EASA privilege. The mission of SA Air Works India is to provide complete turn-key avionics solutions to civil aviation and government customers in India and subcontinent. The vision of the company is to be the market leader who drives the industry with innovative avionics products and solutions.